Rock on with these fantastic Headphone Bookends! 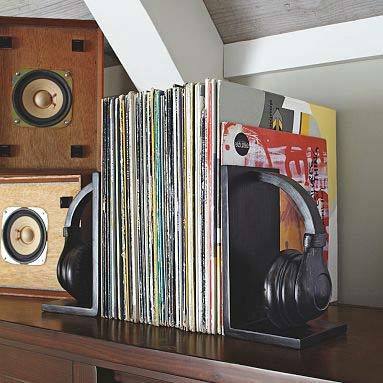 The perfect storage solution to ensure you keep your books, CDs or even records upright on your shelves in style, these brilliant bookends are sure to be a hit with every music lover ƒ?? and really, who doesn't like music? Designed and developed in Australia by the popular home wares brand, Universal, the Headphone Bookends are made from quality lead-free painted MDF - giving you a guaranteed strong and reliable product. 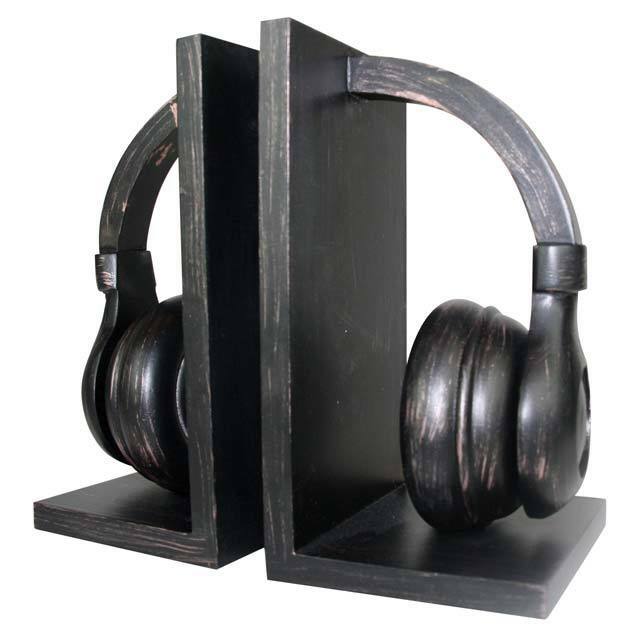 Packaged in a stylish black and white box , the Headphone Bookends are a great gift idea for music lovers of any age! Dimensions: 21cm x 21cm x 11cm each.